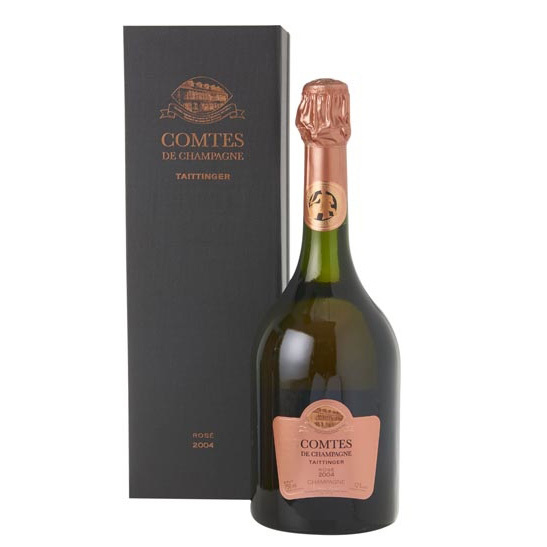 Taittinger Comtes de Champagne Rose Millesime 2004 is a blend of 70% Pinot Noir (100% ?Grands Crus? ), part of which is red wine from the vineyards of Bouzy, and 30% Chardonnay grapes from the vineyards of the Cote des Blancs (100% ?Grands Crus?). Only juices from the first pressing are used to ensure the structure and the long ageing potential so essential to this Champagne. Ageing for at least 5 years in the cellars enhances the finesse of the aromas and develops their complexity.